Oh look - it's another pink lip product to add to my collection!! 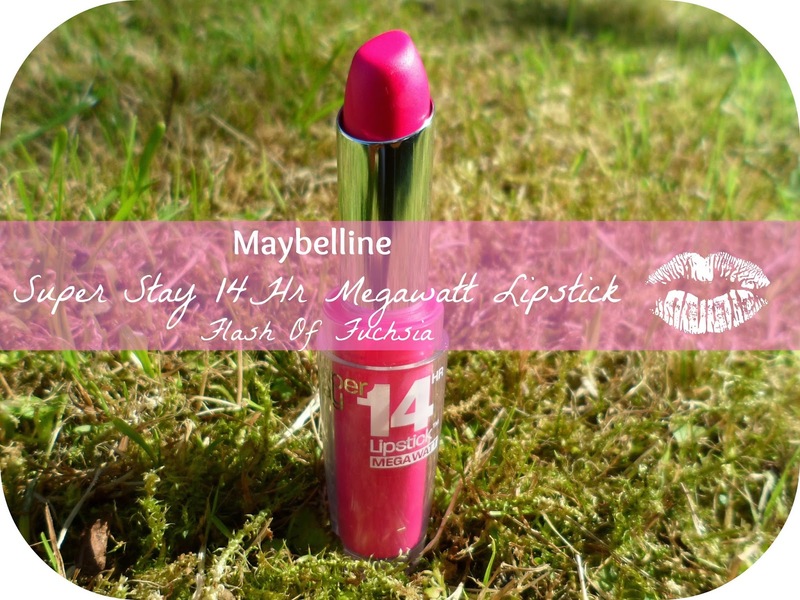 This is the snazzy new Maybelline Super Stay 14hr megawatt lipstick.... bit of a mouthful isn't it..... and this is the shade 'Flash Of Fuchsia'. (Everyone knows if it's fuchsia - I will love it). So this is a NEW product from the fabulous Maybelline - who, can I just say, I have been loving recently. Normally I tend to head to Maxfactor & L'oreal over Maybelline but that has really changed over the last few months and I've been really excited to check out Maybelline stands and see what's new! I've worn this a few times and am really loving it! From the tube I thought it was going to be a really bright flursecent shade but once on it's a really nice dark fuchsia! After wearing it a few times I can confirm that this stuff DOES stay on (I still have a mark from the swatch on my bloomin' arm!). It's definitley not drying at all weither hich I love! It feels so so smooth which isn't ommon with matte colours they can be so drying! The only thing I would say is that I did see a bit of fading when I wore it out for dinner - but this did obviously including eating and drinking for the evening! 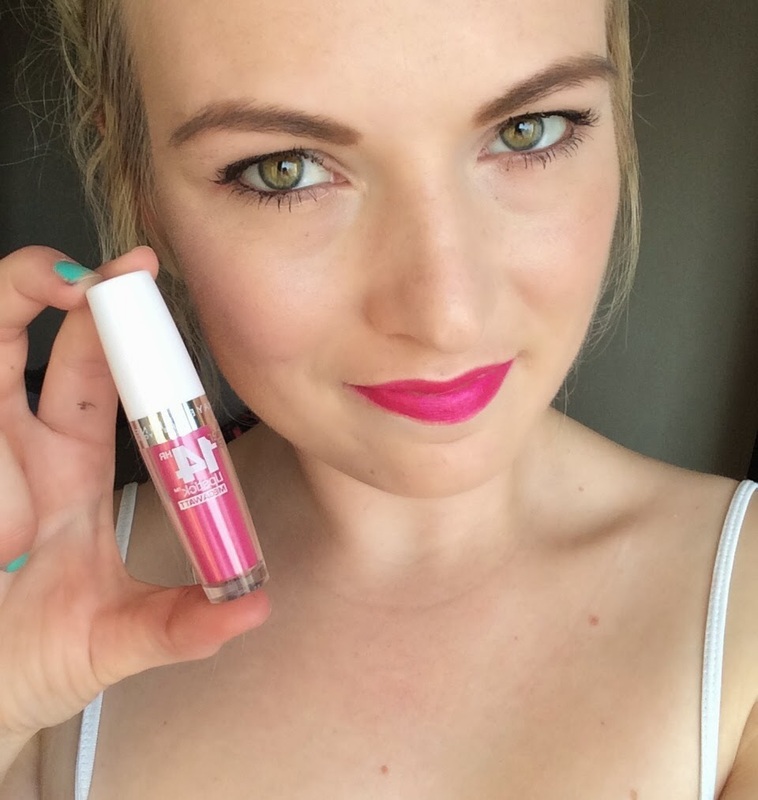 Another amazing lip product added to my make-up bag - totes perfect for summer too! Don't forget you can now find me on YouTube - so excited I've finally plucked up the courage to do it! Gorgeous color and it looks amazing on you! Ok. So this is another product I have to buy. It sounds perfect! And the color is absolutely GORGEOUS! That colour is on point! Perfect for summer. And even though it's a matte formula is has a really nice finish - it almost looks like a satin finish. Uhm, omg so when I went to go publish my comment it just disappeared!? ANYWAY, wonderful post and a such a lovely color on you! It's completely perfect for summer. I haven't seen any of those here in LA yet but if I do I definitely want to pick one (or two or three...you know how it goes) up. Also, I had to laugh at your sad grass comment! Haha.